Please join us on Tuesday, Nov. 17 at 11:30 a.m. EST for an interactive tour of the Chapel on the Mayo Clinic Hospital – Saint Marys Campus via Periscope. 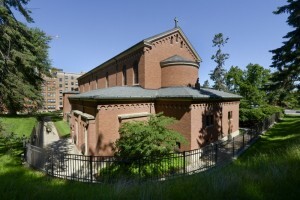 Since its beginning in 1889, there has been a chapel at Saint Marys Hospital. Money earned by the Sisters of St. Francis and gifts from individuals provided the basic funds for construction. 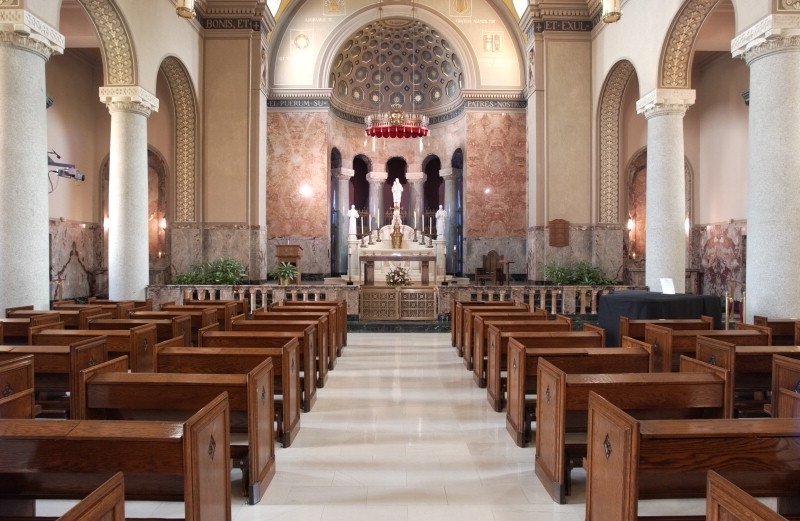 Designed in the style of a basilica, the chapel is patterned after early Christian churches with two rows of granite pillars dividing the interior into a nave and two side aisles. The entire chapel structure seats more than 400 worshipers. All are welcome to worship in Saint Marys Chapel. Masses are offered Monday through Saturday at 4:30 p.m. and Sunday at 8:30 a.m. An interdenominational service is held at 10:45 a.m. on Sunday. The services are telecast live to patient rooms on CCTV Channel 11. The chapel is always open for private prayer and reflection. Please join the live broadcast on Nov. 17 and chime in with your questions and comments! Please join us on Tuesday, Nov.